Rheinmetall is a German defence and automotive company founded in 1889, and is Germany's biggest arms manufacturer. In the 2017 fiscal year, Rheinmetall's defence sales were €3.036 billion (the automotive segment were €2.861 billion), and the company employs a total of 23,726 people. The Office of the Chief Prosecution in Diyarbakir, Turkey, has opened an investigation against the co-chair of the Conscientious Objection Association (Turkey), Merve Arkun. The Association has reported that the investigation is due to a press conference they organised two years ago on International Conscientious Objectors Day. At first sight, not much in Istanbul shows that the country is at war. The queues of tourists at passport control are long. Everything is running as normal. Main shopping roads like İstiklal are full of people. But those who travel by metro often have to change trains at Yenikapı station, where you now find an exhibition glorifying war and the military. The Turkish military has been running an operation called 'Olive Branch' in Syria since 20th January 2018. Reports from the region show the human cost of the ongoing operation, including hundreds of dead as well as injured; and show how it has fuelled conflict in the region. 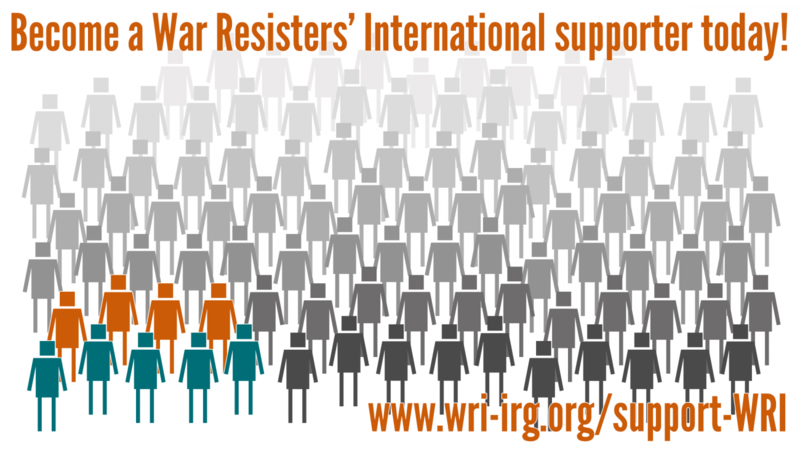 War Resisters' International stands in solidarity with activists in Turkey supporting peace and opposing war in Syria, Turkey and elsewhere. Here we share a statement from the Human Rights Association and Human Rights Foundation of Turkey, which WRI's Turkey Working Group endorses, on the ongoing military operation in Northern Syria.